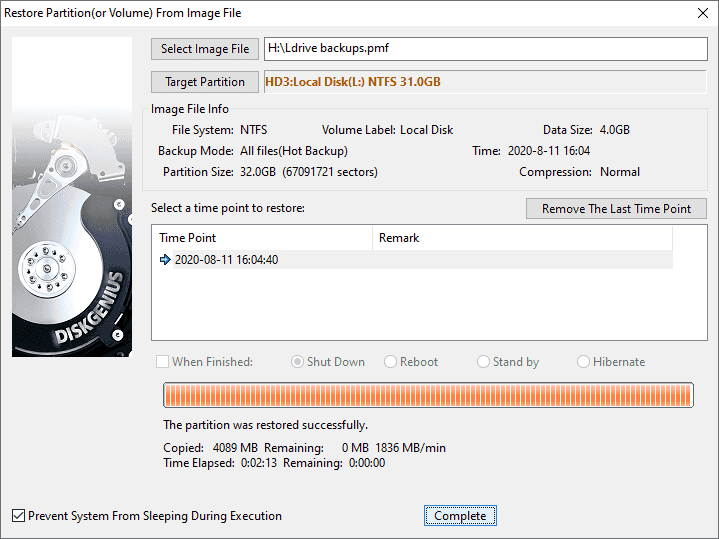 When partition gets damaged, corrupted or files in the partition gets lost, you can try restoring partition from the backup image file to rescue data. Step 1 Click Tools menu and select Restore Partition From Image File option. Step 2 Click Select Image File button to find and select the backup image for the partition and click Target Partition button to select the partition you want to restore. 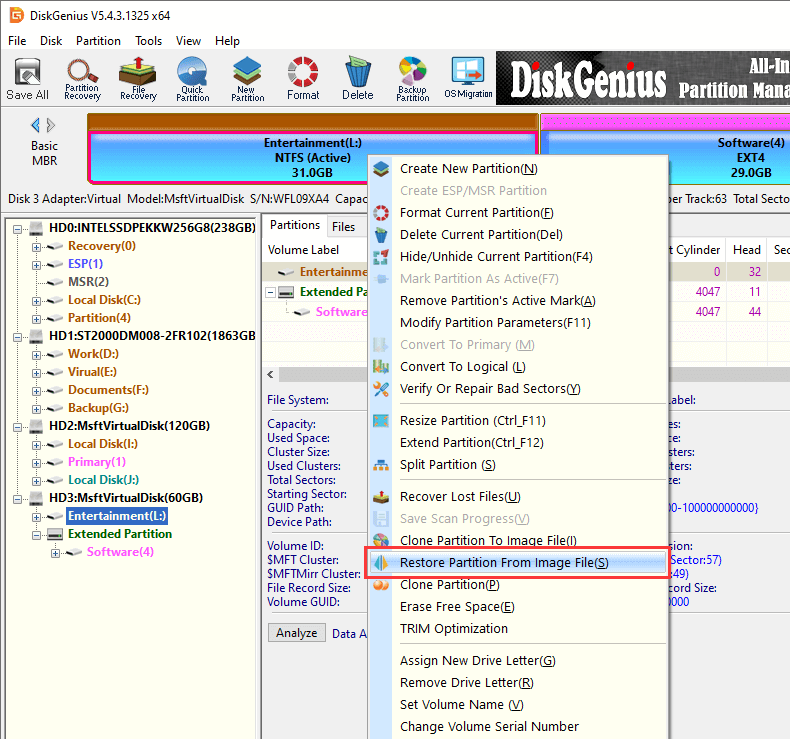 Then select a restore point for the partition and click Start button. Step 3 Click OK to continue when the following message box pops up. Note: Restoring partition will write data backed in image file to the target partition, which removes and overwrites all existing data in the partition. Please close all applications that are using the partition in advance. Step 4 Click Complete button after the partition is restored.